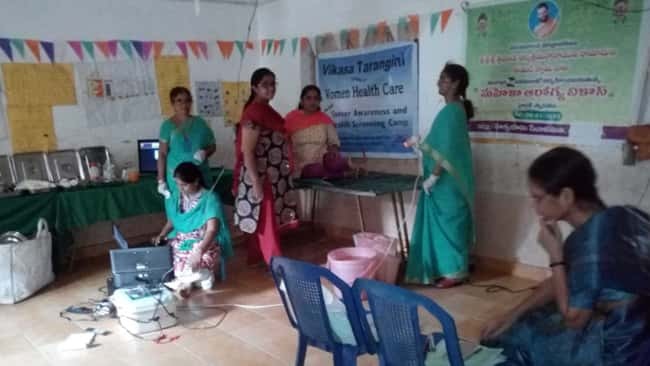 Vikasa Tarangini, Karimnagar conducted Mahila Cancer Awareness camp and General Health camp on 10.04.17, at Konaraopet(M),Rajanna siricilla District. 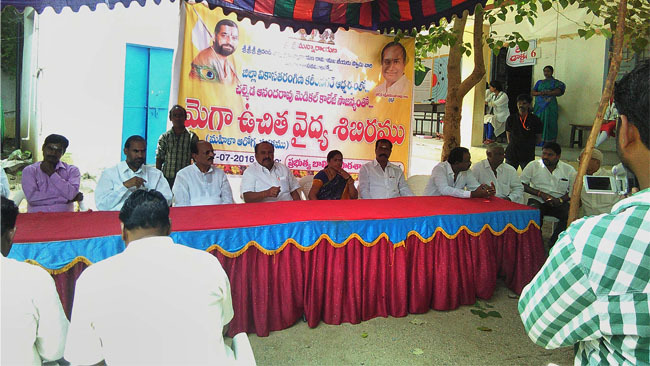 Sriman Chalmeda Laxmi Narsimha Rao (Chairman CAIMS), T.Sumalatha kumar(Surpanch), S.Laxmi Ravinder Rao(M.P.P), P.Annapurna Praveen(Z.P.T.C), Muravath Ramesh(S.I) and Vikasa Tarangini volunteers attended the camp. A total of 330 people attended the camp. 234 attended for General Health checkup while 96 women were screened for Cancer symptoms. Vikasa Tarangini Conducted the Camp in coordination and sponsorship of Chalmeda Medical Hospitals(CAIMS).